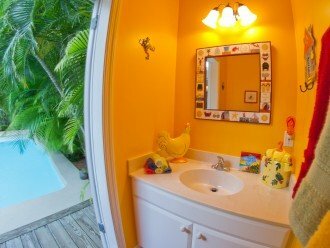 Private Luxury Key West Home with Private Pool, surrounded by lush tropical landscaping in the Casa Marina neighborhood of Old Town. The fusion of a mid-century Florida home with dramatic Caribbean design, has created an ideal contemporary “Floribbean” style villa in the Casa Marina district of Key West. 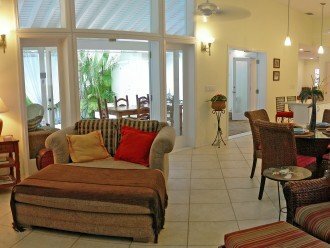 Walking distance to all Old Town has to offer, as well a short stroll to Duval Street and Higgs Beach. 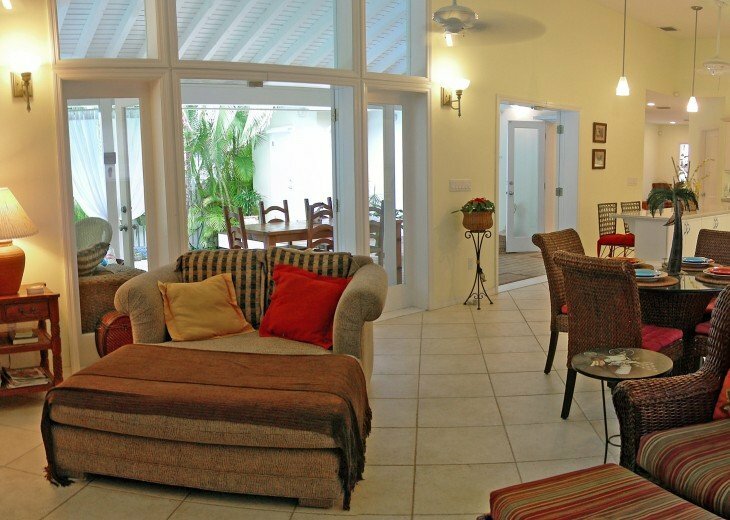 The location is perfect to relax & stay awhile! 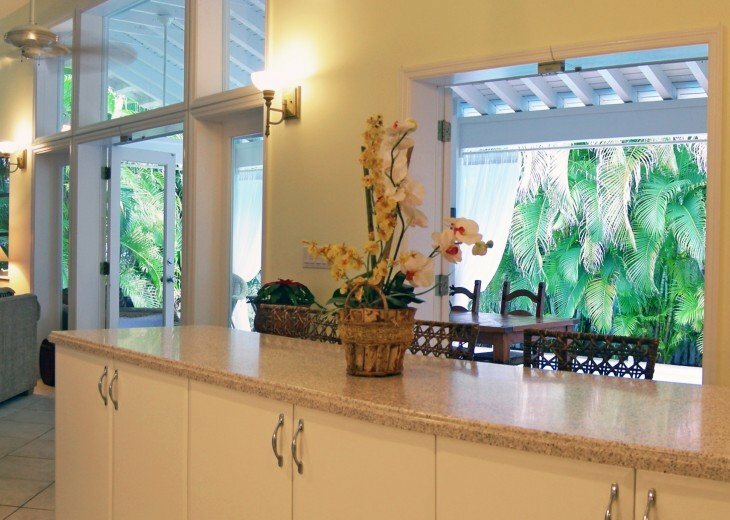 An expansive open great room/kitchen area with dramatic ceiling lines flows seamless to the outside living & dining areas to a covered verandah through several sets of expansive French doors and transom windows, creating an open tropical living space. 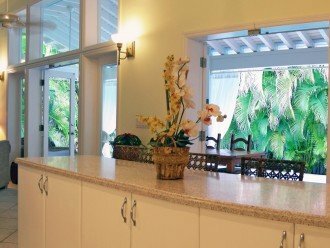 A perfect entertaining home! 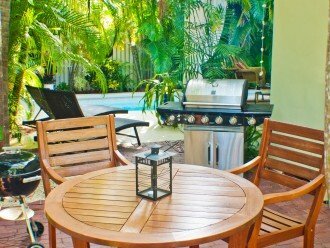 You can live indoors or out! 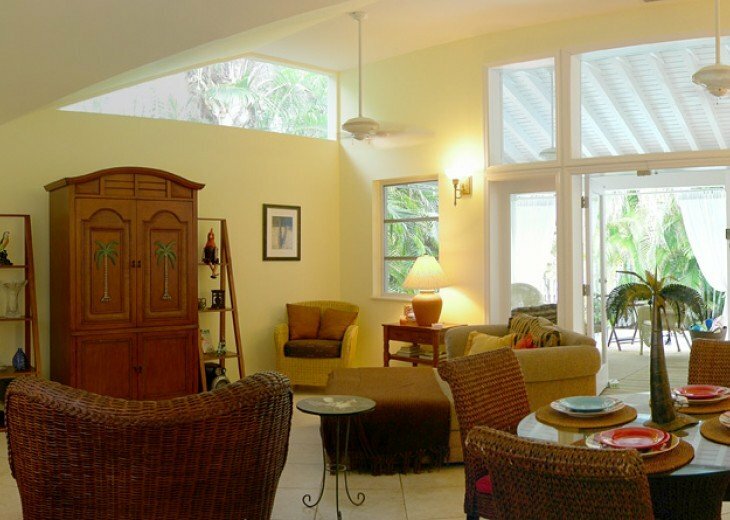 Beautifully furnished in a tropical motif including many original Key West photos. This homes offers 3 bedroom, 2 full baths, and a pool side cabana bath. The bedrooms are towards the front of the house with the master having a French door to the pool with private bath with walk-in shower. 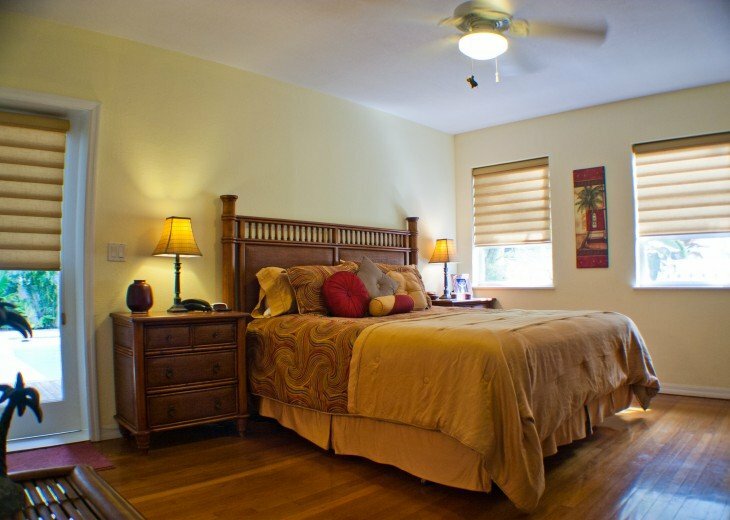 The second bedroom features twin beds that can made into a full king size bed. 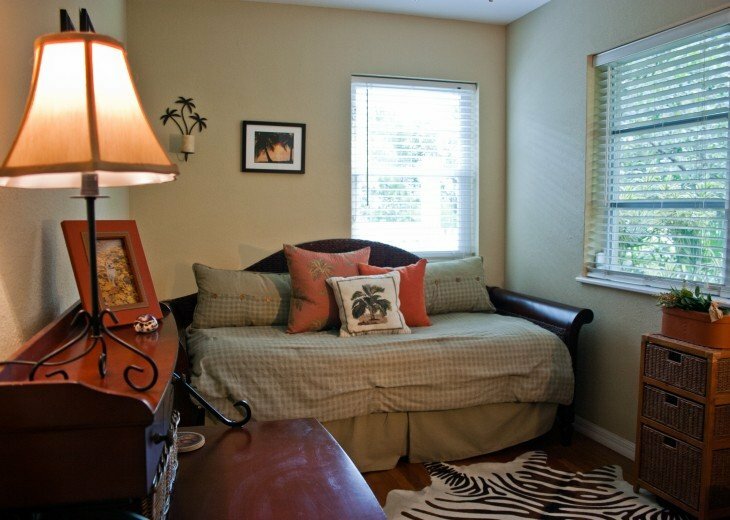 The third bedroom has a twin trundle (easily makes a king) and desk with fax and internet service. 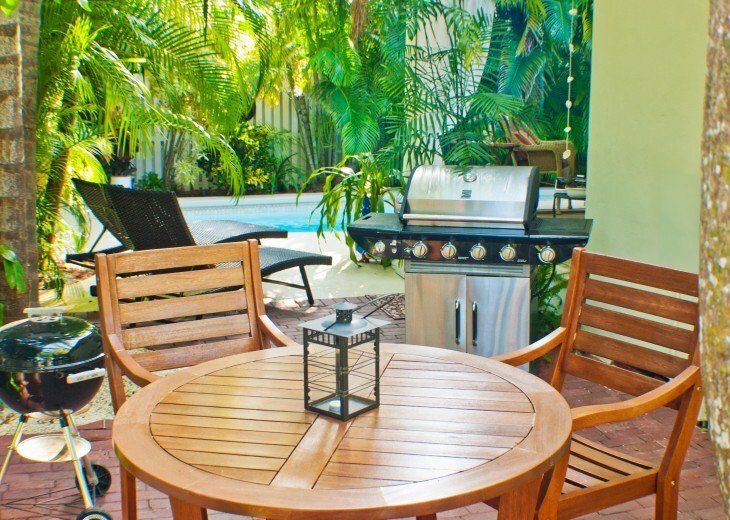 Our vacation rental home in historic Key West, Florida is perfect for you and your family’s relaxing escape. 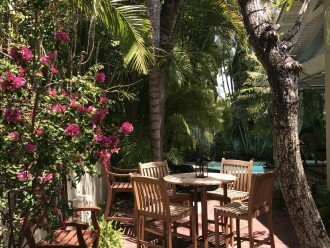 The Brass Palm Villa features an ideal Key West location and an exciting array of amenities, truly becoming your “vacation home away from home”. 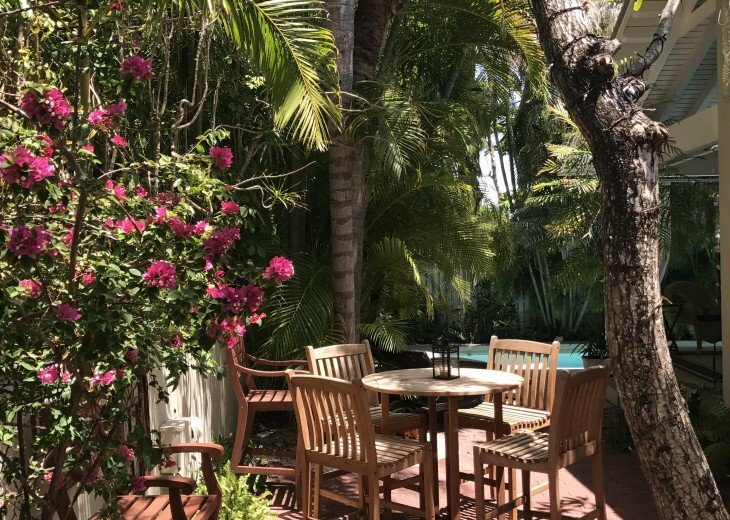 Boasting year-round warm weather and just steps from all of the shopping, entertainment and dining that Old Town Key West has to offer. 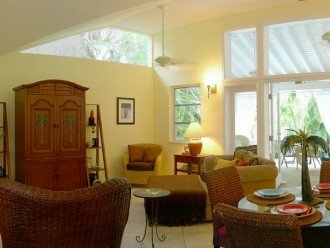 Brass Palm Villa is truly a supreme Key West vacation rental property. Unwind outdoors while enjoying the spacious verandah and in-ground heated pool, or relax inside the beautifully furnished house featuring Key West inspired décor. In the need of more sun? Pack your snorkel and cooler and take the short stroll to Higgs Beach, featuring white sand, crystal clear water, dog park and playground! Heart of Casa Marina section of Old Town. 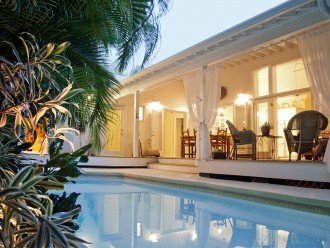 No additional fees for heated pool or electric surcharge. $300 Dog Deposit. Refundable post stay. 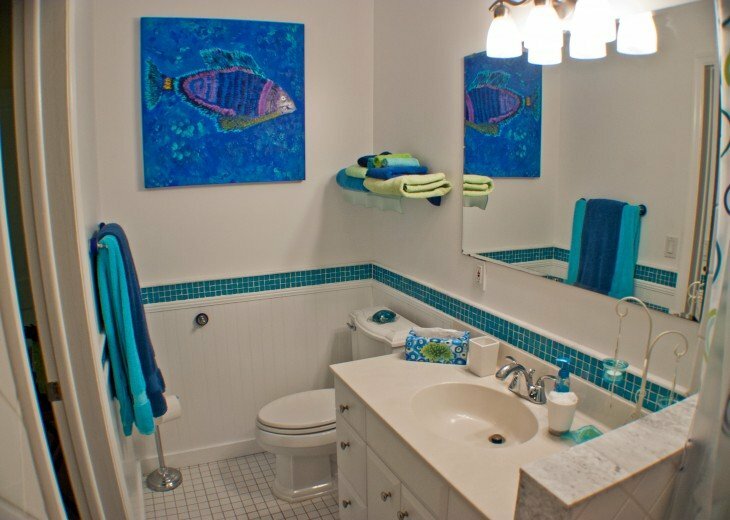 Our home is completely stocked with bath, pool and kitchen towels, and bed linens. 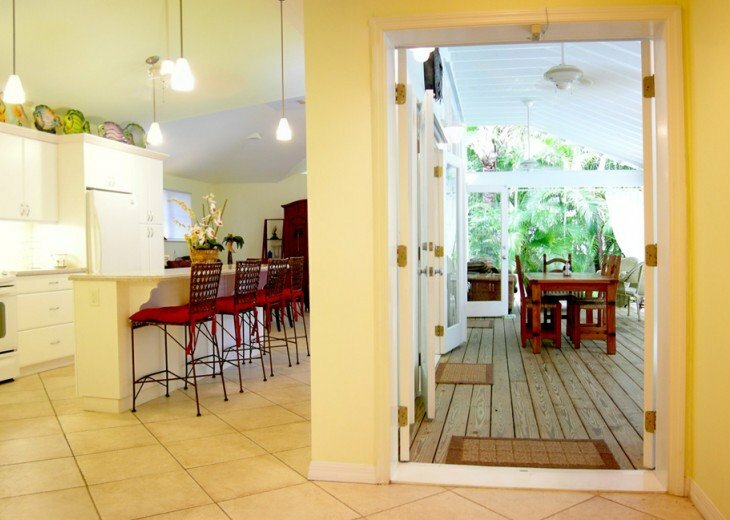 The beach is walking distance, approximately 4 blocks. Now I know where J.Buffett got the inspiration for those lyrics! 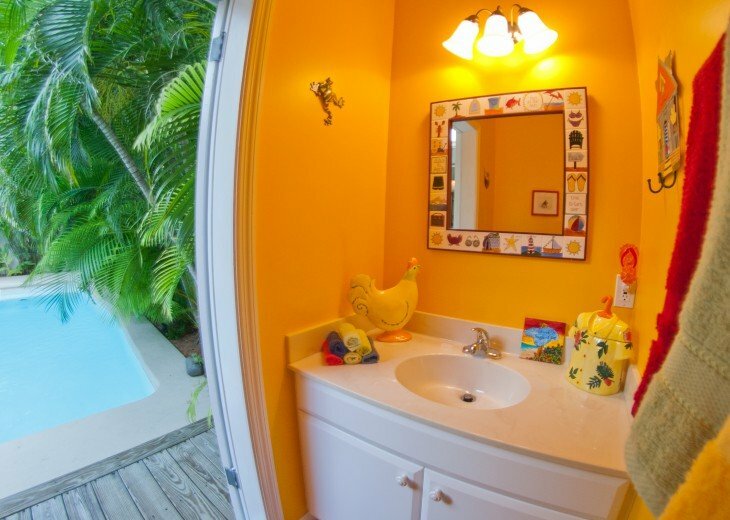 Just the right blend of tranquility and fun! It was love at first sight. The pool, surrounding outdoor living spaces were just perfect. I plan to make staying at this place an annual tradition!